The legislation proposes the “disposal” of land intended for wildlife and public use in 10 different states. Republicans in Congress have introduced a new piece of legislation that allow for the "disposal" of over 3 million acres of publicly owned land. 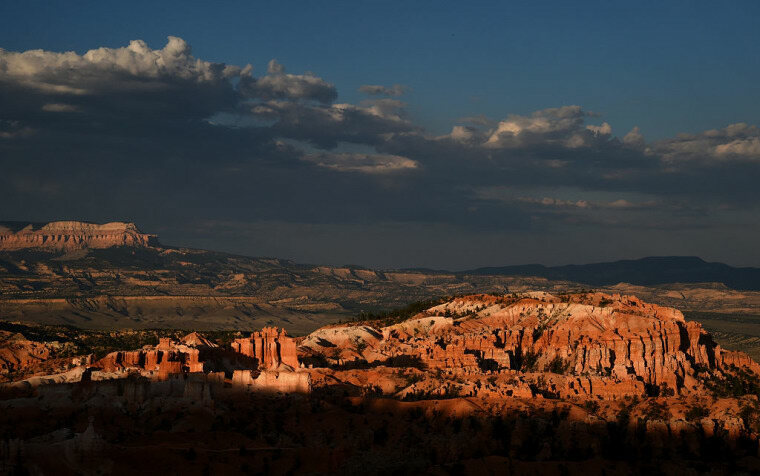 The bill, drafted by Utah congressman Jason Chaffetz, would instruct the interior secretary to sell off federal land in ten different states, according to The Guardian. The land in question is managed by the Bureau of Land Management, and while some can be leased for commercial purposes, the majority is open for public use including camping, hunting, fishing, and other outdoor activities. Much of the land also provides valuable wildlife habitats, including key areas for grizzly bears, gray wolves, elk, pronghorn and big-horned sheep. The piece quotes conservationists in the ten states effected—Arizona, Colorado, Idaho, Montana, Nebraska, Nevada, New Mexico, Oregon, Utah and Wyoming—who vehemently oppose the bill. The bill comes on the heels of another initiative that appears to be aimed at selling off federal property. Republican lawmakers, in drafting new language for the house budget, have moved to massively devalue public land on the whole. According to an earlier Guardian report, the move could make it easier for public land to be sold off for industrial purposes like oil, gas, logging, mining or other development in the near future. Here's why some biologists are abandoning their faith in total conservation.